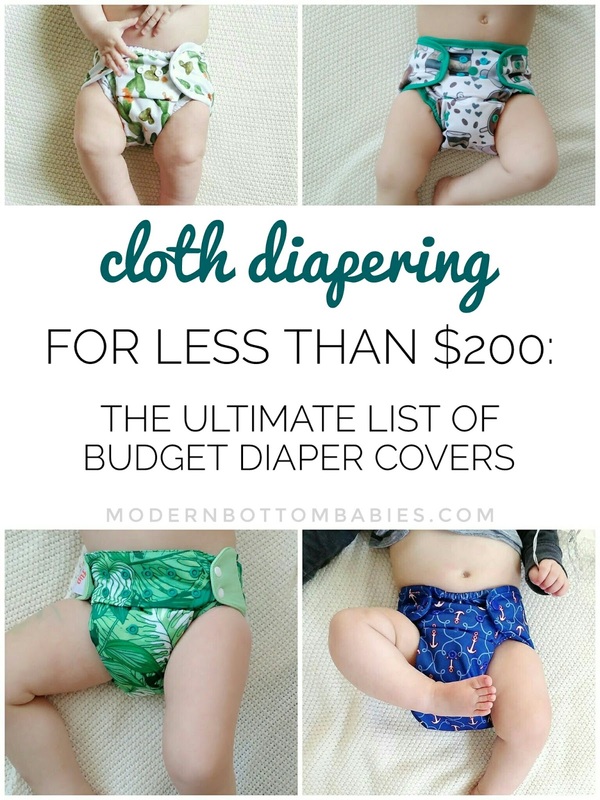 I have been meaning to do this follow-up post ever since I wrote my popular post, Cloth Diapering For Less Than $200. I am a huge believer that cloth can be simple AND affordable. This post contains affiliate links. This means if you click through and make a purchase, I receive a small commission for my referral, at no extra cost to you. Thank you for supporting my blog! I wanted to share some of my favorite brands and recommendations to build a stash for less than $200. All these covers can be reused through numerous changes as long as they aren't soiled. Imagine One-Size Diaper Cover- This is just a basic cover with double gussets and a roomy fit, available in both snap and aplix closures. I have no personal experience with this cover. It is extremely affordable, ringing in at $11.95. It can be purchased through Diaper Junction, Kelly's Closet, Amazon, or other cloth diaper retailers. 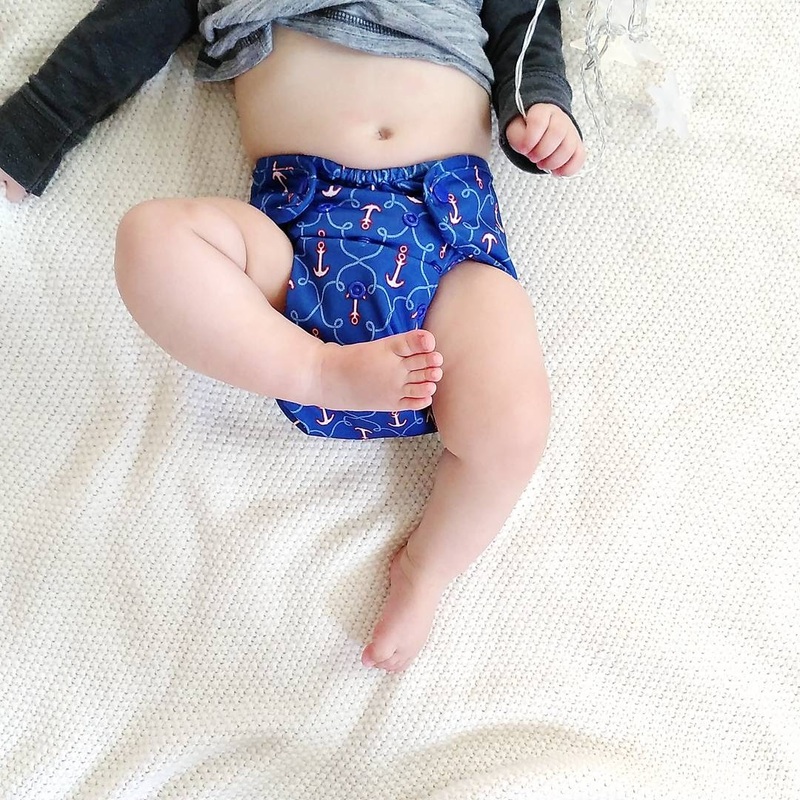 Buttons One-Size Diaper Cover- This all-in-two diaper cover has double gussets, stretchy double layers of PUL, a front elastic to give it a trim, modern fit, and it happens to be our family's favorite! It rings it at $11.50- $13.50, depending if it's a print or a solid. It can be purchased through Diaper Junction (FREE shipping! ), Clothdiaper.com, Amazon, or many other small retailers. Sweet Pea One-Size Diaper Cover- This is an affordable diaper cover with double gussets, thick PUL, and a roomy fit. 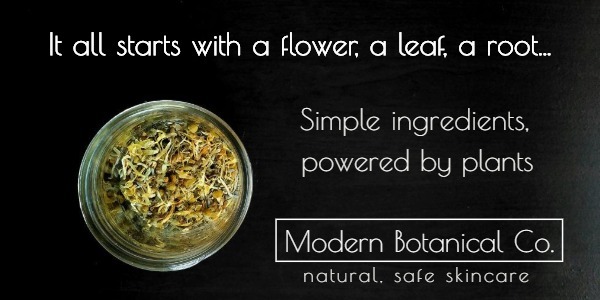 This is a brand we have only tried (and loved) in the newborn size. It rings in at just $12.95. It can be purchased through Diaper Junction, Amazon, Kelly's Closet, or many other retailers. Diaper Rite One- Size Diaper Cover- Created by Diaper Junction, this TPU diaper cover has double gussets and insert tuck flaps. I have no personal experience with this diaper. It rings in at $12.95- $13.95, depending on if it's a solid or print. It can be bought exclusively at Diaper Junction. Buttons Super One-Size Diaper Cover- A larger Buttons diaper cover with vertical snaps instead of horizontal, tuck flaps, and a roomier fit. This one rings it at $13.50-$14.50. It also can be purchased through Diaper Junction, Amazon, or other Buttons retailers. Rumparooz One- Size Diaper Cover- A cover with double gussets and roomy fit, available in both snap and aplix closures. It rings in at $14. It can be purchased through Diaper Junction, Kelly's Closet, Amazon, or your favorite cloth diaper retailer. Flip One-Size Diaper Cover- With Cotton Babies signature stretchy tabs, insert tuck flaps, and an array of beautiful prints and colors, this makes an awesome diaper cover option. It rings in at $14.95 retail. It can be purchased through Cotton Babies (don't forget to check their seconds page for even lower prices! ), Diaper Junction, Kelly's Closet, Amazon, or almost any cloth diaper retailer. 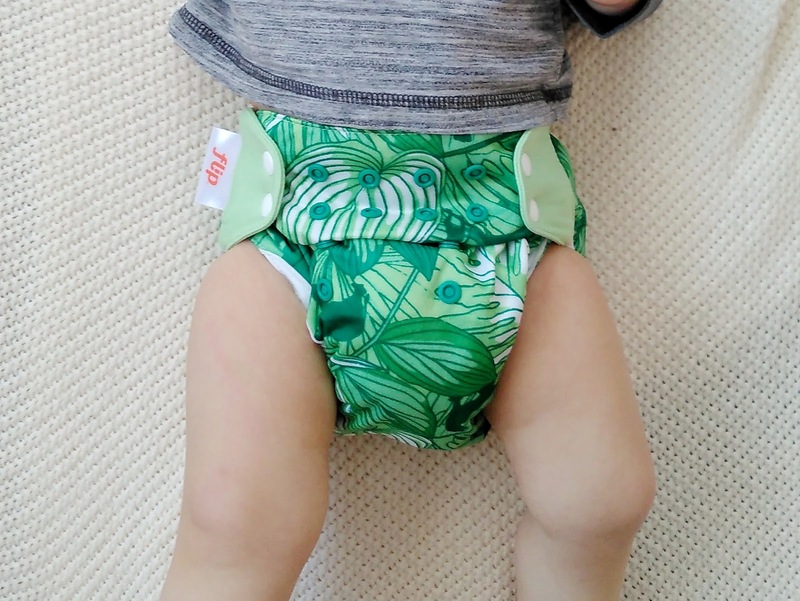 Thirsties Duo Wraps- So, this could arguable put you over $200, because a lot of people will need to buy two sizes, unless they don't start cloth diapering until later, but both sizes can get you from birth to potty. It is a great, affordable cover nonetheless. Thirsties has unique exposed elastic double gussets, thin, but bulletproof PUL, and comes in both snaps and aplix closure options. It also is made in the USA. It rings it at $12.95. 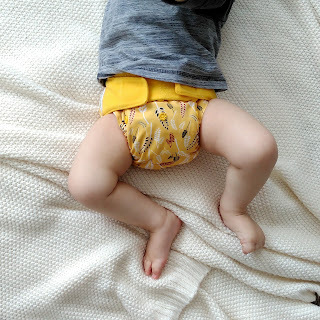 It can be purchased through The Natural Baby Co., clothdiaper.com, Diaper Junction, Kelly's Closet, Amazon, or almost any cloth diaper retailer. And then there's the next price tier of covers, which will put you just over $200 for your stash. Grovia One-Size Diaper Shell- This trim AI2 diaper cover is the only one on the list that does not have a wipeable PUL/TPU inner. It is a lined mesh, but also still reusable between changes as long as it is not soiled. Grovia is available in both snap and aplix closures. This is another of my personal favorites. It rings in at $16.95. It can be purchased through Grovia, Natural Baby Co., Diaper Junction, Kelly's Closet, Amazon, and many other retailers. Pssstt... Grovia has a sale page, too. Currently with Diaper shells for just over $11 each! Diaper Junction has the same one, for $13.86, shipped. 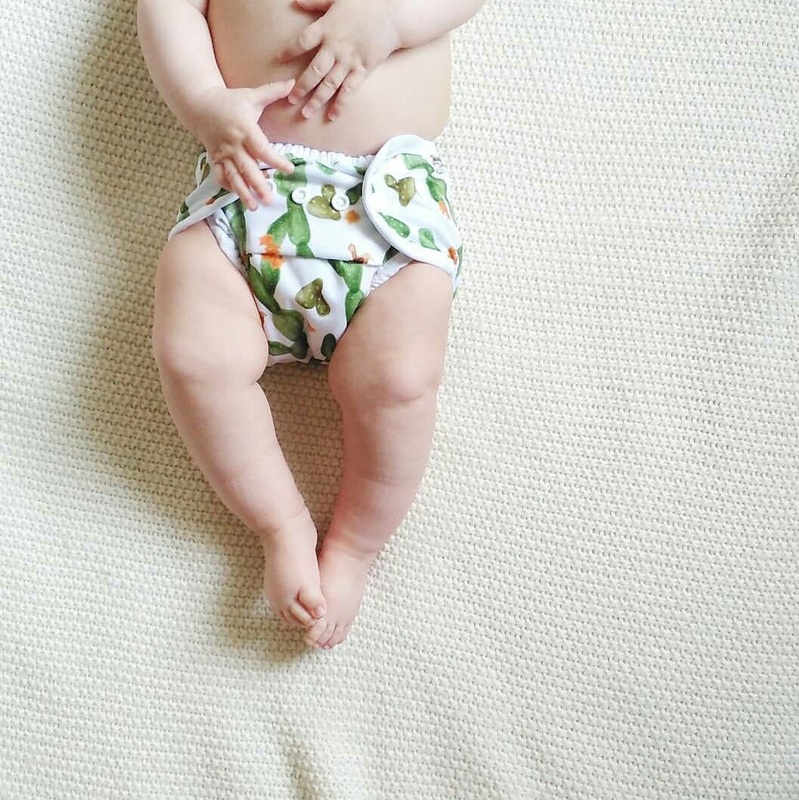 Lalabye Baby One- Size Diaper Cover- Another AI2 diaper cover with a trim fit, made of thin, magical TPU. It rings in at $16.50 for solids, and $19 for prints. It can be purchased through Diaper Junction, Kelly's Closet, and many other cloth diaper retailers. 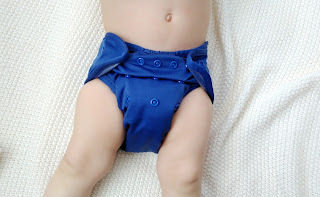 Blueberry Diaper Cover- This North-American made cloth diaper cover has double gussets and a roomy fit. It is also offered in the Capri, which has insert tuck flaps. I've personally never used, but runs popular for cover users. It rings in at $18.95- $19.95. It can be purchased through Cotton Babies, clothdiaper.com, Diaper Junction, Kelly's Closet, Amazon, and many other cloth diaper retailers. Best Bottom One-Size Diaper Cover- This all-in-two diaper cover offers a trim fit with double PUL and double gussets - all manufactured in the USA. It rings in at $18.95. It can be purchased through Diaper Junction, Kelly's Closet, Amazon, or many cloth diaper retailers. BIGGER Best Bottom Diaper Cover- The Best Bottom Cover, with a roomier fit. It rings in at $19.95. It also can be purchased through Diaper Junction, Kelly's Closet, Amazon, or many cloth diaper retailers. I have used and loved a lot of covers and I am hoping to continue and update this list as time goes on. I just want to give a shout-out to Diaper Junction for recently switching to free shipping for all US orders! 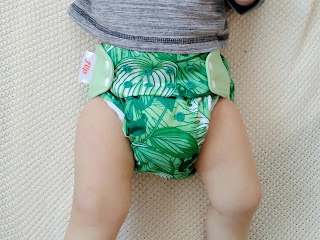 Do you have a favorite reusable diaper cover, for less than $20, that isn't on the list?